Caterpillar's strategy in China: low price-News-News & Events-Shandong Lingong Construction Machinery Co.,Ltd. When Komatsu pledged to "strangle" Caterpillar in the U.S. three decades ago, executives at the Peoria, Ill., company countered by taking on the Japanese construction-equipment maker in its home market. Now as Chinese companies emerge as global players, Caterpillar is hoping to take a similar tack. Many of China's top construction equipment makers, such as Sany Heavy Industry Co. 600031.SH -0.49%and Zoomlion Heavy Industry Science and Technology Co., 000157.SZ 0.00%are becoming more active internationally, building production facilities and distribution networks. Chinese companies can be expected to win "in the international competition," Sany Group Chairman Liang Wengen told reporters this month. Caterpillar is pushing back. "We're bringing our game to China," Chief Executive Ed Rapp said. "The best way to beat Chinese outside of China is to compete and win with them inside of China." 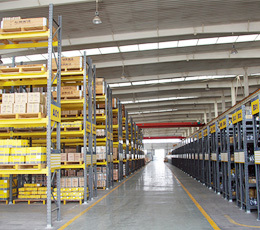 Shandong Engineering Machinery Co. (SEM) is at the core of Caterpillar's strategy. Since SEM became a wholly owned unit in 2008, Caterpillar has expanded the Chinese company's product line beyond wheel loaders, adding motor graders, bulldozers and paving machinery. The aim: Manufacture no-frills, inexpensive equipment for the price-conscious Chinese market. SEM products sell at 30% to 50% less than their Caterpillar-branded counterparts. At China's largest trade show for construction equipment, held here this week, Caterpillar introduced two new pieces, a bulldozer and a motor grader, bringing to five the product families under the SEM umbrella. That low-price segment increasingly is critical for Caterpillar as its core business is pressured in China. The construction-equipment market took a nose dive in the second quarter of last year from which it has yet to recover. Analysts say sales in some categories have plummeted while inventories have skyrocketed and that recovery seems far off. Other foreign makers of construction equipment in China also are stepping up the fight against domestic competitors by producing more lower-price models, typically under separate brand names. "Sales of new machinery may pick up next year but not that much," said Shi Yang, of Off-Highway Research, a construction-management consulting firm. He says he doesn't expect much government stimulus for the construction industry. Caterpillar's October machine sales in the Asian-Pacific region were up 6% from a year earlier on a three-month rolling basis. That was slower than the 14% increase logged in September and 27% in August. China accounts for roughly 3% of the company's sales, the company says. Caterpillar faces high inventories in China, above "about two months of typical sales," Mr. Rapp said. Globally, inventories were in the neighborhood of $2 billion. "There is some consistency throughout the world [of inventory levels], but there would be a higher percentage probably in China," he said. However, dealer inventory in China is down "significantly" from the end of the first quarter, he said. "We are going to take our production levels below the prevailing sales rates in an effort to burn that inventory off," Mr. Rapp said. "That process will last to the end of first quarter." Caterpillar says it will reduce the pace of investment in China by re-evaluating its expansion plans. 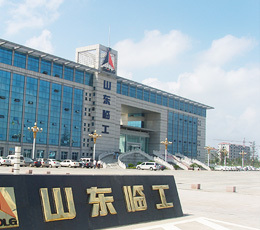 The company has pushed back plans to add a building at its facility at Xuzhou, about 500 kilometers northwest of Shanghai. Production also has been slowed through measures such as temporary shutdowns and cutting the workweek to four days. "These actions are targeted at reducing production while trying to avoid letting people go," Caterpillar spokesman Jim Dugan said in an email. 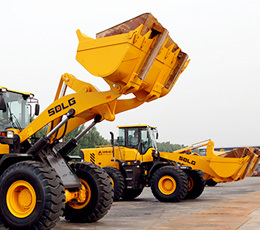 Caterpillar global rival Volvo Construction Equipment AB, based in Sweden, owns 85% of Chinese counterpart SDLG. 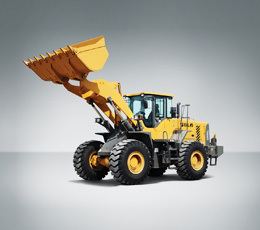 "We've made a big effort to help our partner increase quality on wheel loaders and help develop its own excavator brand," said Lawrence Luo, president of the China region for Volvo. "Now we're well positioned to tackle the volume market in China." 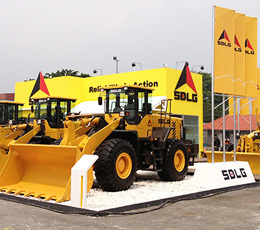 SDLG's new facilities in Brazil will start turning out four excavator models next year, the company said Tuesday. Terex Corp., TEX -0.17%of Westport, Conn., has rolled out an aerial work platform, which is used to lift people and equipment, under the Skysave brand for China.